Looking good Bert! look forward to seeing the final products! Thank you. I will do my best to my ability. Hahahaa.....I just noticed it just now. I'll try and change it to my other name DaMaker89. By the way, your post inspired my work. 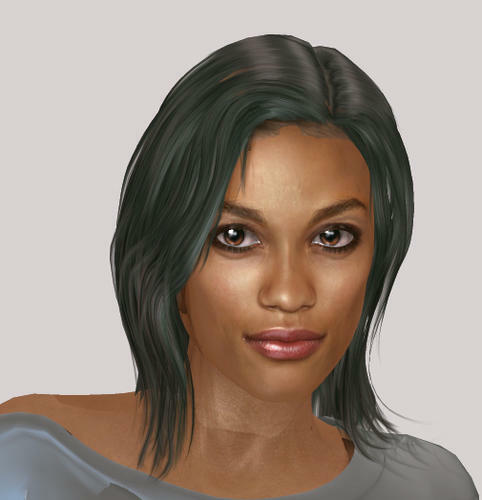 I am working on two models based off of two African-American women known for television hits. One of the models is Tisha Campbell-Martin from the the hit shows "Martin" and "My Wife and Kids". The other is Regina King from the shows "227" and "Southland". Cool. I'll keep an eye out for them to add them to my celebrity directory. Wow...that looks good. It almost look just like her. I have 4 more models to work on after the ones I'm working on, but I'll add her to the list. Dean Cain may be next or so. MRL Alysia - Charlize Theron, I would say. The dark haired promo pics are very Aeon Flux, the 'fantasy tribal' makeups look very inspired by her look in Mad Max: Fury Road (which I haven't seen, yet, but Googling some pics of her in it ....), and the blonde promos are very much her with her natural hair colour. Mihrelle is really toning down her morphs. They used to look so much closer to the subject. Mmm. They're more 'suggestive of ...' - which is why it took me so long to realise who Aella and Astrid were reminding me of. Still, I actually prefer that. Fir one thing, the attempts at total likeness like ExtraClones's at FoRender always come over to me as rather exaggerated and cartoony. I'd never use those sort. I'd certainly never use the ExtraClones 'Sharon for G2F' Charlize Theron, whereas I might use MRL Alysia sometime. But then again personally i never want to do renders that are supposed to be particular actors/actresses, just sometimes want to borrow certain aspects of their features. I tried and explained to people here what a lookalike is when the opportunity provided itself, it isn't an identical twin. I was just commenting that her morphs are less and less noticeable with the subject. 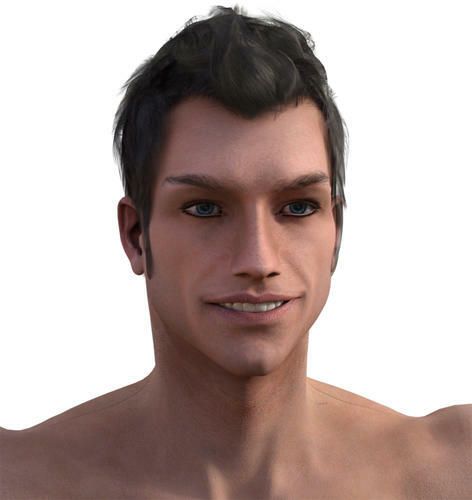 I believe this has to do with that Red incident and Renderosity having to impose some restrictions on lookalikes. At least, this is what I got from reading the conversations of that controversy at the time (some of it could have been just pure speculation). ExtraClones has some many lookalikes (actually identical twins) in the works at this very moment. They even went so far as to go with crowd funding to start their projects. They seem very determined. You might find some of the conversation here and the Renderosity forum. I don't have links, I just read at the time. I can't believe I even remembered it was about Red. My long term memory is soup lately. I hate to even ask, but I've been working on this morph, and my husband asked me who it was earlier because he couldn't place the actor. Problem is, I hadn't intended to copy an actor, and he can't figure out who he thinks it looks like. Does it remind y'all of anyone? 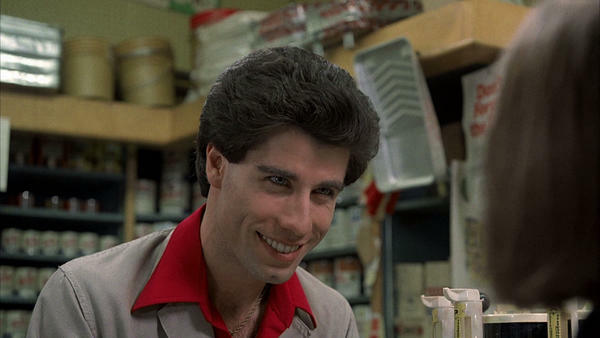 I'm getting a bit of a John Travolta vibe off it. Not saying it's a perfect likeness or anything (would need a bigger chin cleft, for one thing), but that's who first popped into my head on looking at it and fishing for an association with someone. Travolta was my first impression as well... a younger Travolta from the Saturday Night Fever/Carrie time frame, prior to his bulking up. Add the chin and it's pretty close. 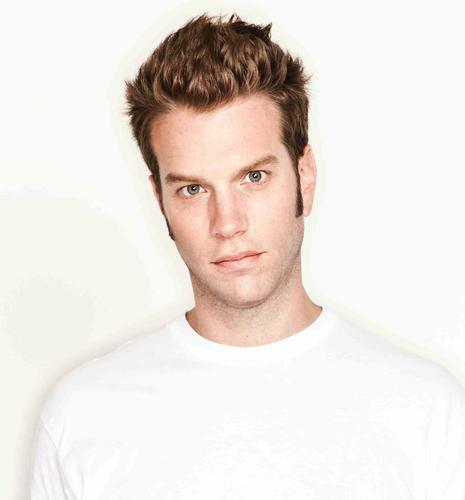 Actually it reminds me more of comedian Anthony Jeselnik. Been working lately on a character inspired by an actress. I wonder if only i can see the likeness, or...? Very first thought was Salli Richardson-Whitfield (if so, needs work particularly on nose and mouth). Second thought was Zoe Saldana (if so, needs work particularly on mouth and brow ridges and eyebrows). Not necessarily ... Part of this is who we know (at all) and who we've seen recently to have in mind. I just may not know the person you are trying to portray, or may not have seen them for years even if I have seen her before so she's not coming to mind. 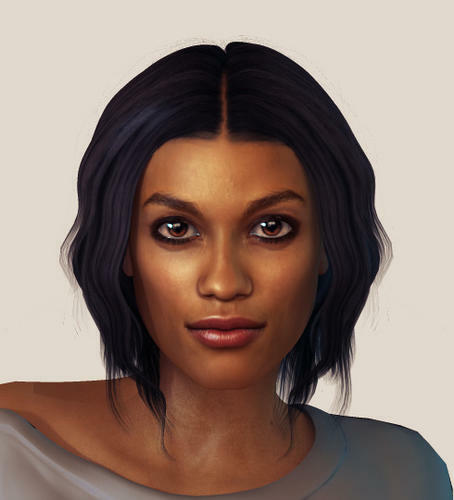 Whereas, for my first association, Eureka has been running five nights a week fhere or the l;ast couple of months (first time I've seen it), and I saw that film with Zoe Saldana as an assassin recently. Your morph may be brilliant but it's just not someone I know or have near the surface of my mind. Actually. there is someone else nagging at my mind ... as it was before my first name above ,,, but I can't quite catch who it is. Whats-her-name an Alien vs Predator? I was aiming for Rosario. @DavidGB, you're right. Sometimes we can get fixated on a face seen recently. As I've binged Dardevil series, I was focused on Rosario and couldn't see the similarities with any other actresses. And the one from Alien vs Predator is Sanaa Lathan. Ah, well - I'm pretty sure I've seen Rosario Dawson in a few things over the years, but I wouldn't know her (or an uncaptioned photo of her) if i fell over her. You may or may not be amused to know my next guess would have been .... Michelle Obama (the brows. eyes and nose are close, at least head on, but I'd have said the mouth, jaw and chin needed work). I think Timothy for M6 looks a bit like a young like Charles Dance, a.k.a. Tywin Lannister. He immediately put me in mind of Michael McElhatton (Roose Bolton in that series), but I can see Charles Dance too.